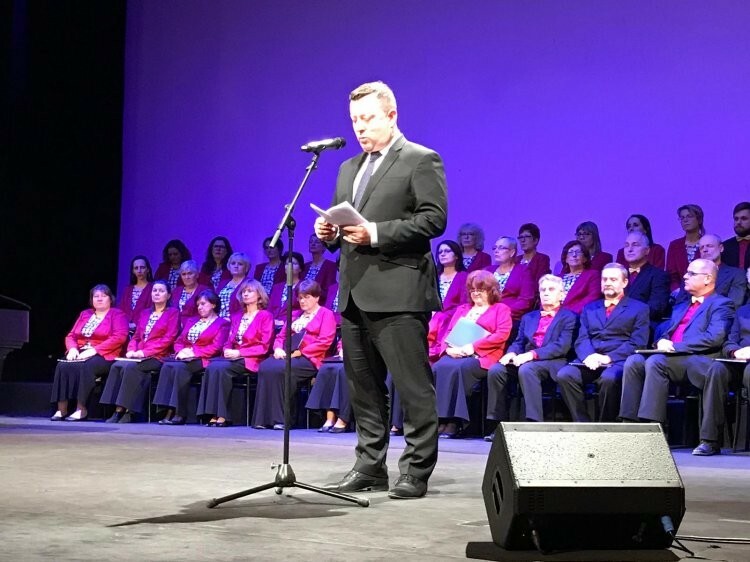 The ceremony took place on February 24, 2019 at the Vinohrady Theatre and was part of the 13th international festival against totalitarianism, evil and violence Mene Tekel. For the fifth time, the Ministry of Culture gave the award to authors whose artistic journey was interrupted by totalitarianism or they were persecuted and deprived of their civil rights and liberties due to their invincible moral attitudes. The title and award Lady of Czech Culture went to writers Erika Bezdíčková and Helena Havlíčková. The Knight of Czech Culture award 2019 went to the conductor Libor Pešek, the Chief Rabbi, playwright and writer Karol Sidon, and the writer and political prisoner František Šedivý. There were also figures awarded in memoriam in both categories. The title Ladies of Czech Culture went to visual artists and sisters Jitka and Květa Válová. The title Knight of Czech Culture went to the stage designer, painter and political prisoner Bedřich Barták, the historian, poet and political prisoner Zdeněk Kalista, and the songwriter and journalist Karel Kryl – in memoriam. The Patrons of Czech culture are now Pavel Faiereisl and Ladislav Vitoul.